Preserve Mac Forte can be ordered directly from this website and is a high quality macular degeneration supplement to help reduce the progression of AMD. Preserve Mac Forte: Advanced nutrition for your eyes that is the only doctor formulated ocular supplement exclusively produced in U.S. labs based on the ARED’s Study that blends precise quantities of 27 high quality ingredients promoting healthy eyes and supporting full body health, which is triple tested using a 3 step purification process ensuring the purest quality in every bottle. 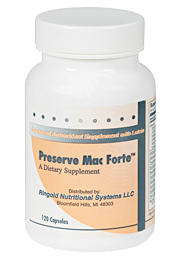 Order Preserve Mac Forte Now. Click here.